Hi everyone! 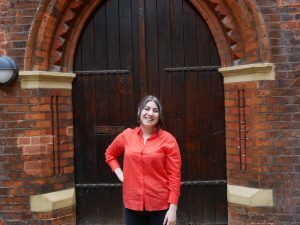 I’m Bethany and I’m very excited to be joining BGV as the Investment Associate. I haven’t exactly taken the traditional path to Impact Investing, but convention has never really been my forte. I started out in fashion and took on design internships in New York and Australia (in between semesters playing varsity rugby at Queen’s University. Like I said, very unconventional…). During those internships, I was able to see first-hand how impactful the fashion industry could be. I decided to go with my gut and leave Sydney to take on a role at an environmental non-profit near my hometown in Ontario, Canada. This experience brought me back down to earth in a way I could never have imagined. It was very grassroots but I felt empowered in fostering a sense of purpose within communities. When it was time to take my next step, I knew I wanted to continue facilitating positive transformation but with larger, for-profit organisations. I chose to move to London for its innovation in circularity and diverse startup culture. Last year, I landed a role at Centre for Fashion Enterprise, working on the Fashion Technology Project to discover and support early-stage founders through the challenges of growing their businesses and securing investment. I discovered somewhat of a calling within these tech-enabled startups because of their innate abilities to speak to huge audiences and affect unparalleled change. I also became immersed in the investor community and grew passionate about getting more women onto both sides of the term sheet. My introduction to impact investing came in May of last year when I was selected to join the Youth Fashion Summit, an initiative led by the United Nations Global Compact and the Global Fashion Agenda. The summit brought together youth from around the world to Copenhagen to strategise the future of a more sustainable and ethical apparel industry. I had the opportunity to speak with big-brand decision makers and learn about their investments into innovative technologies that were creating change at scale. Their insights drastically changed my perception of impact investing and I saw how I could match my purpose-led mentality with high-growth startups who were capable of generating valuable financial returns. Armed with this knowledge, I began researching impact investors in London and came across BGV. I loved the diversity amongst portfolio companies, some touching upon key areas of interest for me like mental health, femtech and environmental sustainability. Once this opportunity came up, I didn’t hesitate because it aligned entirely with my mission to empower people to use technology as a vehicle for positive change. 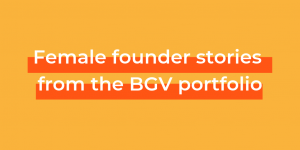 I’m so happy to be a part of the BGV team and working with game changing founders. In my role, I will be responsible for identifying and analysing exciting startup opportunities and developing external investor relationships for our portfolio companies. Whether you’re a startup, investor or just want to have a chat, I’d love to hear from you.